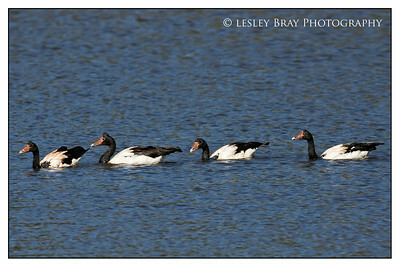 6 images - Magpie Goose . These beautiful birds are everywhere in the Northern Territory. There is a yearly shooting season to cull them, which is a shame as some of them are left injured. 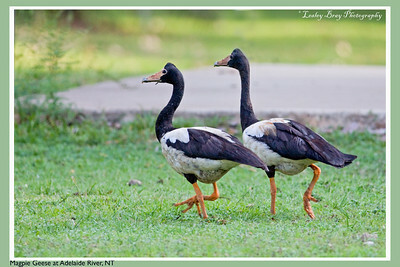 Magpie Geese, Anseranas semipalmata, at Adelaide River, Northern Territory, Australia. Photographed December 2012 - © 2012 Lesley Bray Photography - All Rights Reserved. Do not remove my signature from this image. Sharing only with credit please. 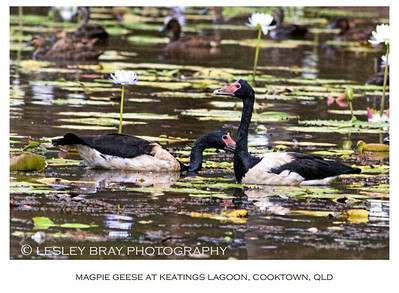 Magpie Geese, Anseranas semipalmata, at Keatings Lagoon, Cooktown, North Queensland, Australia. Photographed October 2013 - © 2013 Lesley Bray Photography - All Rights Reserved. Do not remove my signature from this image. Sharing only with credit please. 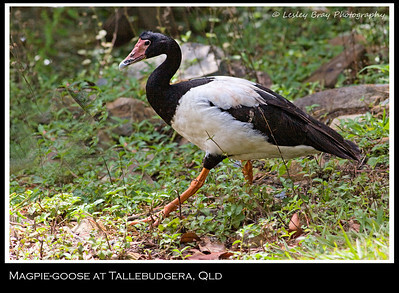 Magpie Goose, Anseranas semipalmata,, at Tallebudgera, Gold Coast, Queensland, Australia. Photographed November 2013 - © 2013 Lesley Bray Photography - All Rights Reserved. Do not remove my signature from this image. Sharing only with credit please. 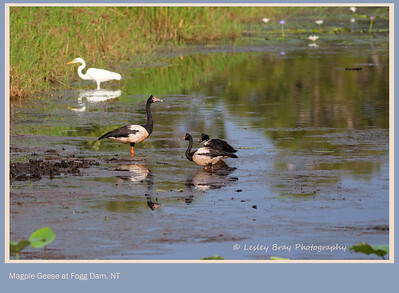 Magpie Geese, Anseranas semipalmata, at Fogg Dam, Middle Point, Darwin, Northern Territory, Australia. Photographed December 2012 - © 2012 Lesley Bray Photography - All Rights Reserved. Do not remove my signature from this image. Sharing only with credit please. 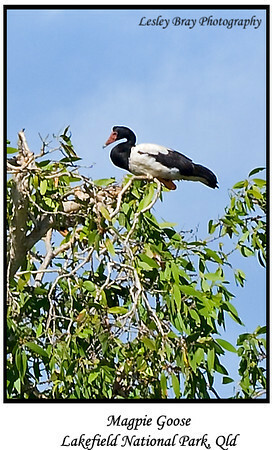 Magpie Goose, Anseranas semipalmata, roosting high in the trees next to White Lily Lagoon in Lakefield National Park, Cape York Peninsula, Queensland, Australia. Taken with 200mm lens. Photographed July 2010 - © 2010 Lesley Bray Photography - All Rights Reserved. Do not remove my signature from this image. Sharing only with credit please. Magpie Geese, Anseranas semipalmata, at Hasties Swamp, Atherton, Queensland, Australia. Photographed October 2014 - © 2014 Lesley Bray Photography - All Rights Reserved. Do not remove my signature from this image. Sharing only with credit please. Magpie Geese, Anseranas semipalmata, at Fogg Dam, Middle Point, Darwin, Northern Territory, Australia. Photographed December 2012 - © 2012 Lesley Bray Photography - All Rights Reserved.